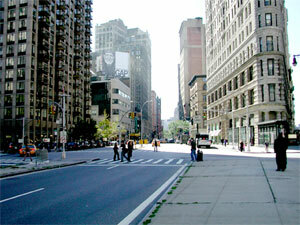 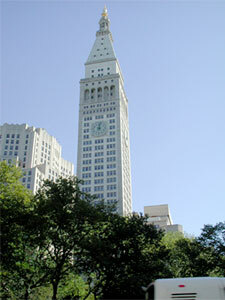 One of New York City's most popular landmarks. 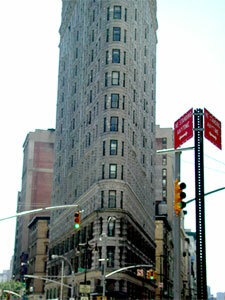 The building was completed in 1902 and designed by the famous Chicago architect Daniel H. Burnham, Height 285 feet, Floors 21, at the corners of 23rd street, Broadway and 5th avenue. 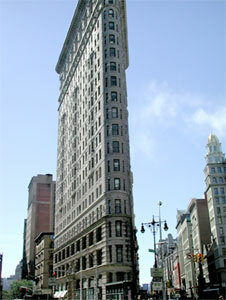 The Flatiron's most interesting feature is its shape -- a slender hull plowing up the streets of commerce as the bow off a great ocean liner plows through the waves of its domain. 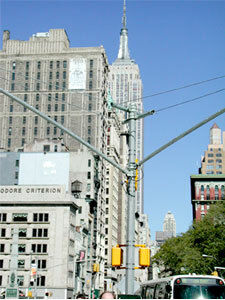 Empire State Building from north view of Flatiron district. 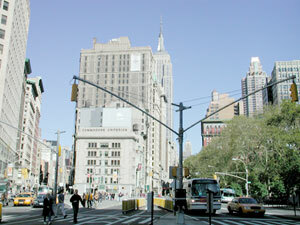 South View on Broadway Avenue.